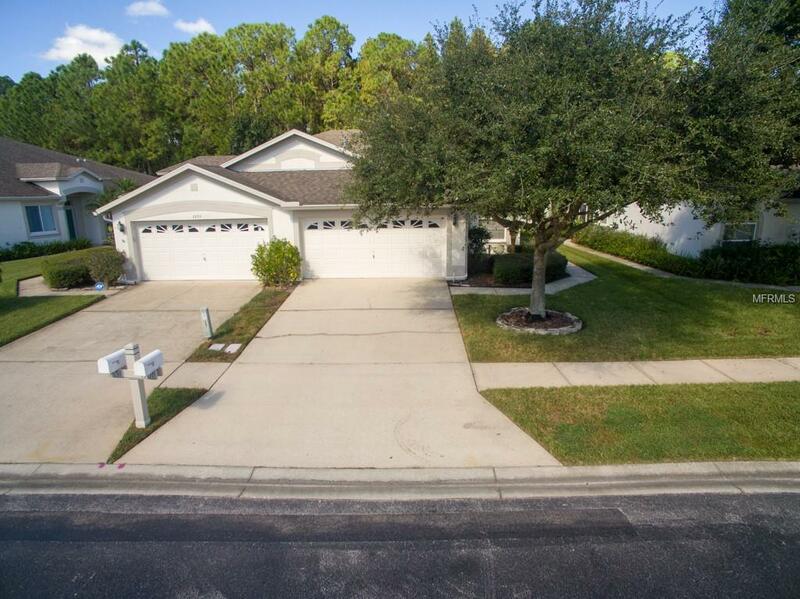 Adorable and affordable 3br/2ba/2cg END UNIT villa style home nestled on a CONSERVATION LOT in the GATED Longleaf community of Meadow Pointe. Offering nearly 1500SF of living space, you will appreciate the classic original features and PRIDE OF OWNERSHIP throughout. A SPLIT FLOOR PLAN provides the master suite with plenty of privacy. All three bedrooms are incredibly spacious and the master bedroom includes a WALK-IN CLOSET and en suite bath. Enjoy relaxing or entertaining on your large SCREENED LANAI in the rear overlooking peaceful conservation. Maintenance includes; building exterior care, recreational facilities, manager, the private road, tennis, trash, and more. The community of Meadow Pointe offers many amenities: clubhouse, fitness center, community pool, tennis & basketball courts, playground & is convenient to shopping, restaurants, hospitals, beaches, University of South Florida, walking and biking trails, parks, airport, and has easy access to Interstates to downtown Tampa. CDD fees included in total tax bill.